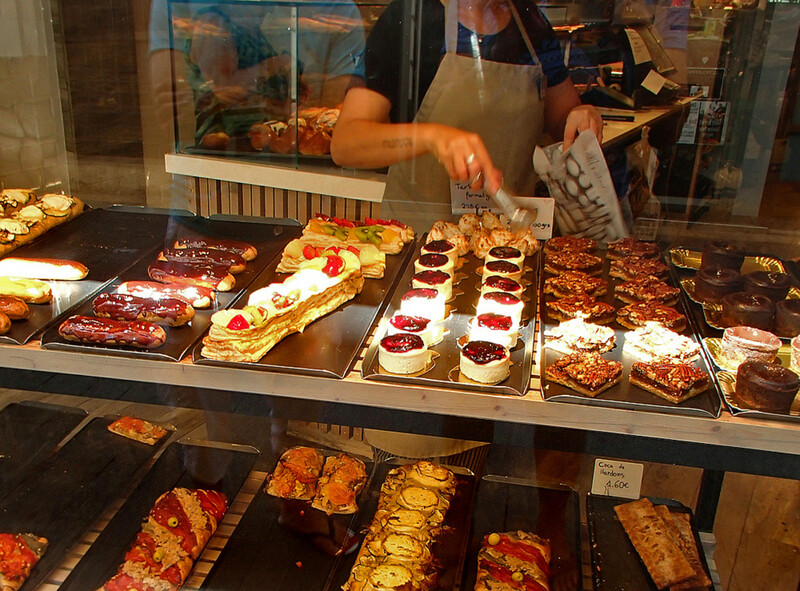 One of the best things to do in Paris – or anywhere in France – is to stand outside a pâtisserie and admire the stunning display of pastries and confections in the window! 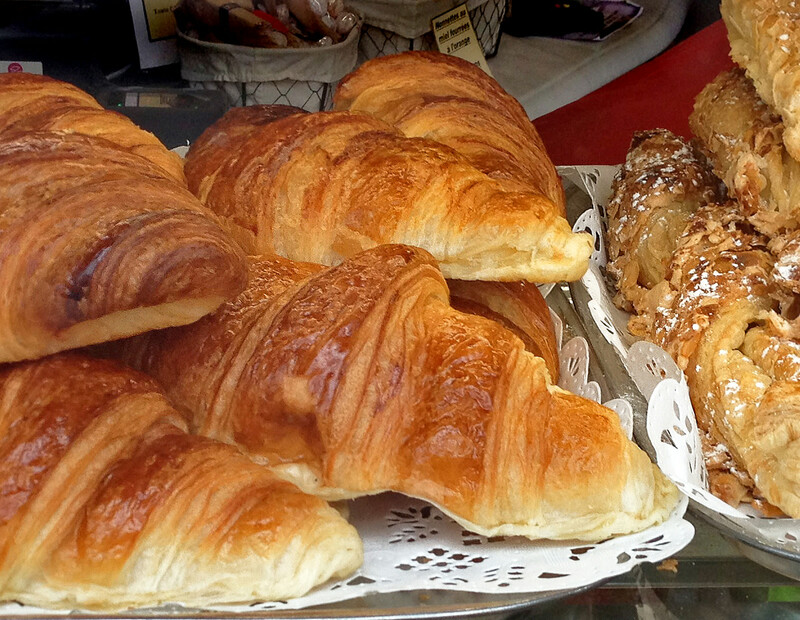 Better yet, come inside and indulge your sweet tooth with a buttery pain au chocolat or a luscious choux à la crème. 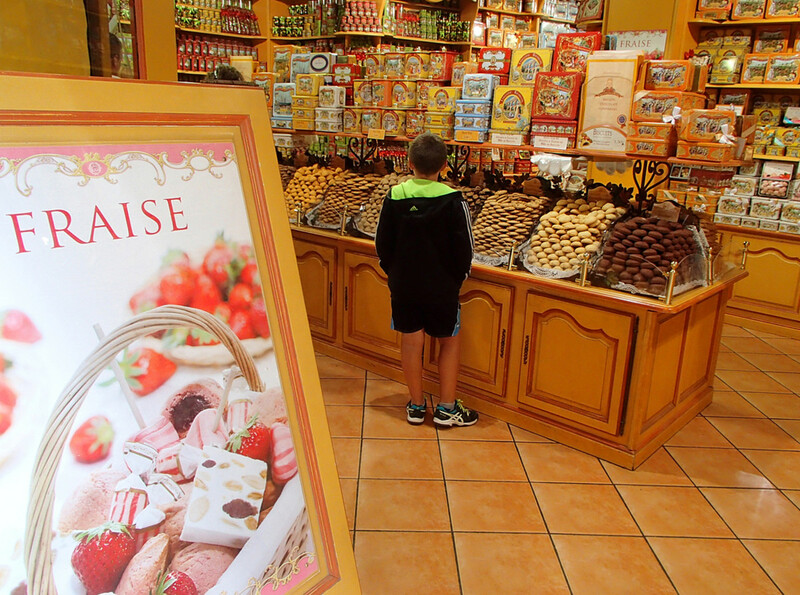 You’re tasting the world’s MOST celebrated cuisine: French desserts! 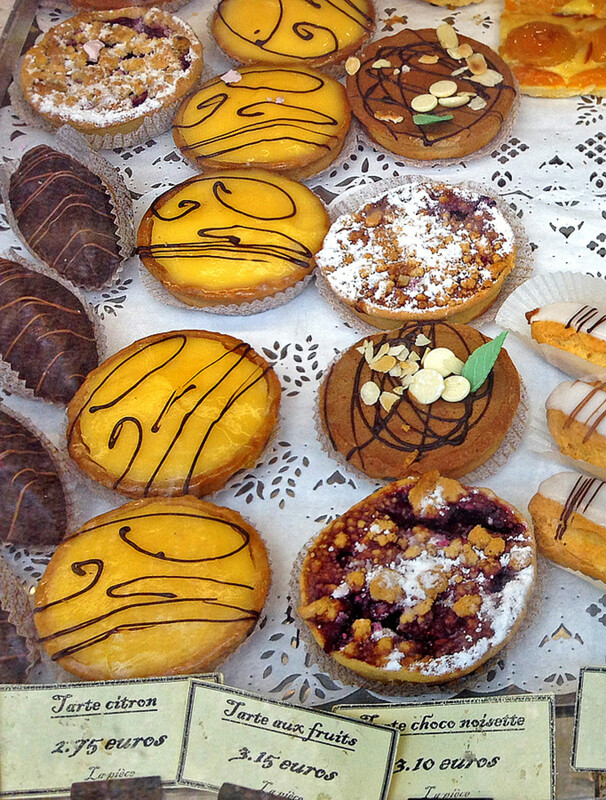 French desserts are typically made with butter, sugar, cream, eggs, and pastry dough. Food historians credited Queen Marie de Médicis (she had the beautiful Jardin du Luxembourg built in Paris) for bringing pastry dough recipes from her native Florence to France in the 15th century. From pastry dough, cooks and bakers in the palace’s kitchen created all sorts of tasty, dainty desserts like cream puffs, éclairs, and tarts – to the delight of the royal family. Queen Anne of Austria (mother of Louis XIV) introduced chocolate from her native Spain to French cuisine around 17th century, thus the beginning of chocolate desserts and a new class of pastry chefs called chocolatiers who make confectionery from chocolate. During the 17th and 18th centuries, the art of dessert making was perfected by generations of pastry chefs. Famous pastry chef Antonin Carême served elaborated pièces montées (mounted dessert centerpieces) at the royal court’s feasts and festivals. 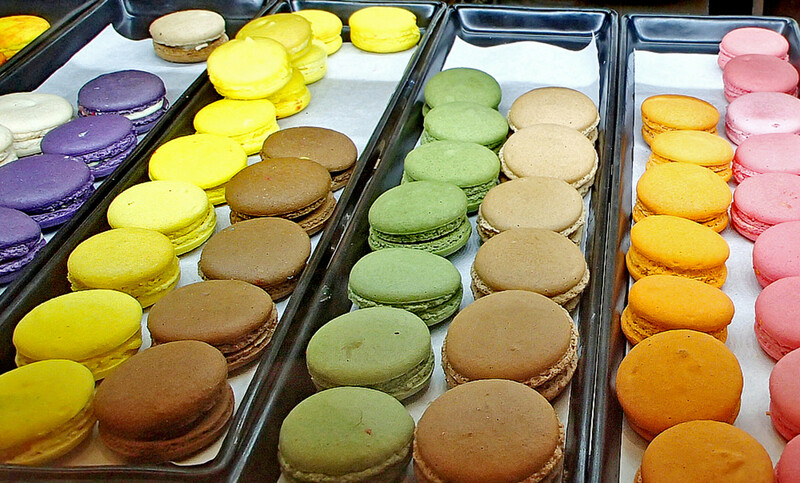 In 1862, renowned pastry chef Louis Ernest Ladurée opened his pastry shop in Paris. For the first time, ordinary Parisians could taste fancy, decadent desserts that were once only accessible to kings, queens, and aristocrats. Ladurée's pastry shop became a huge success. Other bakers and dessert chefs soon followed suit and there was a boom of patisseries and salon de thé (tearooms) all over France throughout the 19th century. 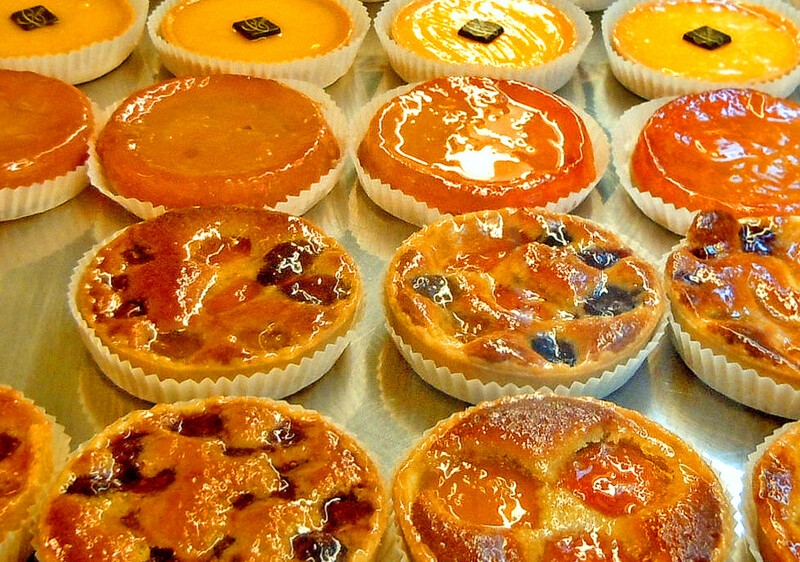 Today, French pastry chefs continue to work with the same ingredients – butter, sugar, cream, eggs, and pastry dough. They combine centuries-old traditions and modern cooking techniques to create even more elegant and delightful desserts which are often regarded as a work of art. 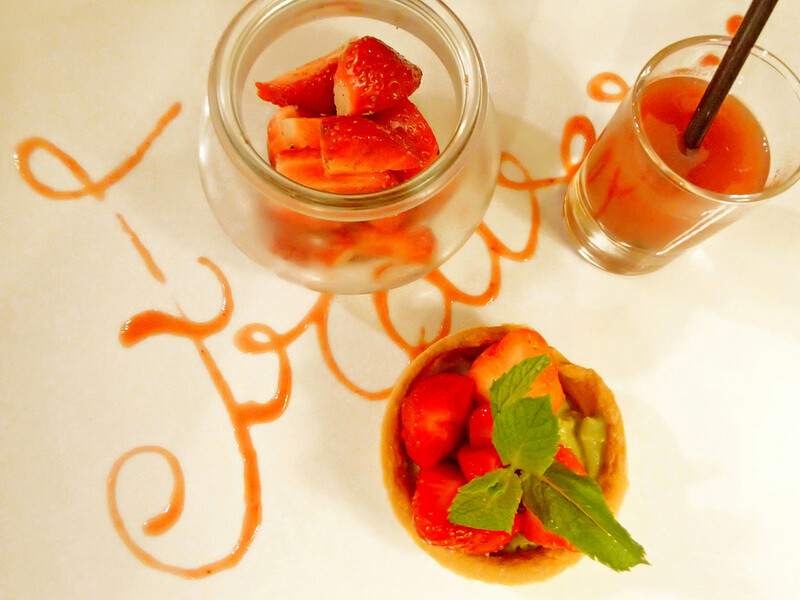 The word “dessert” comes from the French verb “désservir” which means “to clear the table” after the main course. Traditionally, cheese and fruit were served as dessert after meals. This practice is still observed today at many high-end restaurants in Paris. French croissants are the most recognizable pastries in the world. However, croissants were not invented in France. They were adapted by early French bakers from an Austrian type of sweet bread called kipferl. The signature light, airy, and flaky texture of French pastries is the direct result of using butter, a lot of butter that is, in the pastry dough. Puff pastry is made with 4 ingredients: flour, butter, eggs, and WATER. During the baking process, water moisture creates steam causing the pastry to expand or “puff”. The éclair is traditionally a popular dessert/snack among French school children. The word “éclair” means “flash of lightning”, possibly refers to how quickly the delicious pastry was devoured by the children! 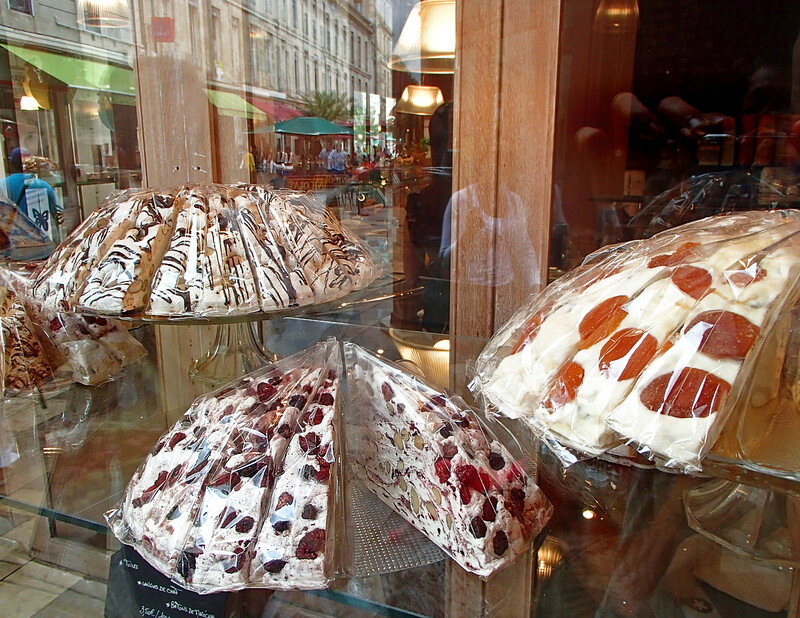 Napoléon cake (also called mille-feuille) is another popular dessert in France. The cake’s name, however, has nothing to do with Emperor Napoléon Bonaparte as speculated. Rather, it simply refers to its “napolitain” (meaning “from Naples”, Italy) origin. There are more American and international cookbooks devoted to the art of making French desserts than any other type of cuisine in the world. Kings of Pastry (2009) – Fascinating documentary about the legendary French pastry competition held every four years in Lyon, France. Sixteen renowned pastry chefs spent 3 days creating the most spectacular desserts, hoping to win the prestigious title “Meilleur Ouvrier de France” (Best Craftsman of France) awarded by the French President. Wedding cakes, sugar sculptures, chocolate candies, choux pastries are some the incredible desserts showcased in this delectable, mouthwatering film! 1. 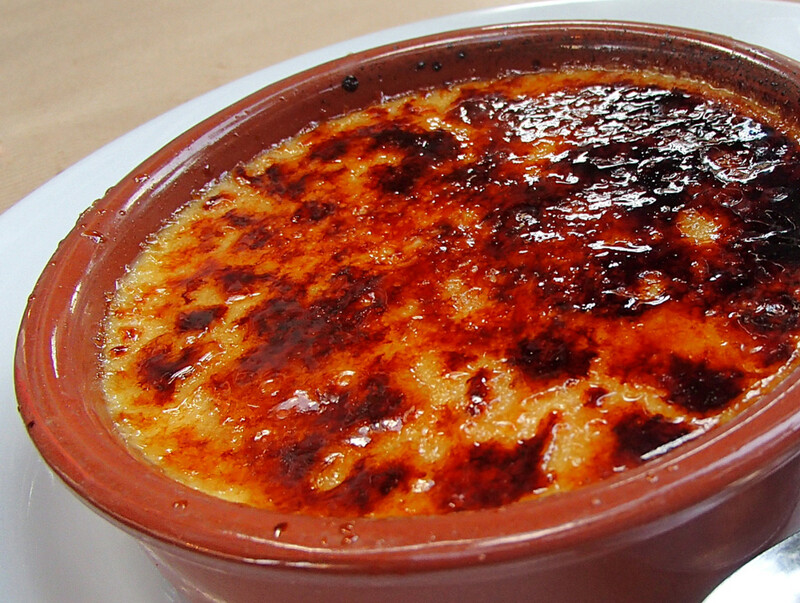 Crème brûlée – means ‘burnt cream’, a rich vanilla custard topped with a crispy layer of caramelized sugar, usually served cold in individual ramekins. 2. Tarte Tatin – a shortcrust fruit tart where the fruit (apple, pear, or apricot) is caramelized in sugar and butter before baking. 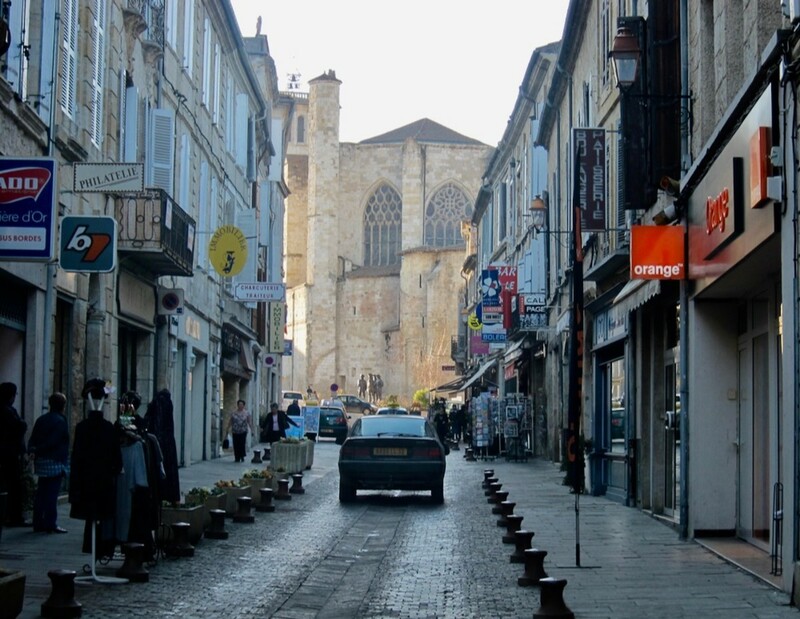 Originating from the Hotel Tatin south of Paris. 3. Éclair – an oblong puff pastry filled with vanilla custard and topped with chocolate or mocha fondant icing. 4. Choux – also known as cream puff, usually filled with vanilla, chocolate or coffee flavored crème pâtissière (pastry cream) and dusted with confectioner’s sugar. 5. Religieuse – means ‘nun’ in French, two cream puffs on top of one another, held together by fondant icing, thought to resemble a nun! 6. Mille-feuille – means ‘thousand leaves’, made up of alternate layers of puff pastry and pastry cream, top layer is glazed with white sugar and swirls of dark chocolate icing. Also known as Napoléon. 7. Macaron – delicate round cookies made with almond paste, egg whites and sugar. Macarons are sandwiched together by a variety of buttercream filling, usually chocolate but also exotic flavors like passionfruit and lavender. Not to be confused with macaroons – chewy desserts originating from Italy made with shredded dried coconut, almond extract, egg whites and sugar. 8. Saint-Honoré – this cake is named after the French patron saint of bakers and pastry chefs, has a ring of cream puff pastries sitting on top of a round pastry base. The cake’s center is filled with pastry cream and decorated with spun caramelized sugar. 9. 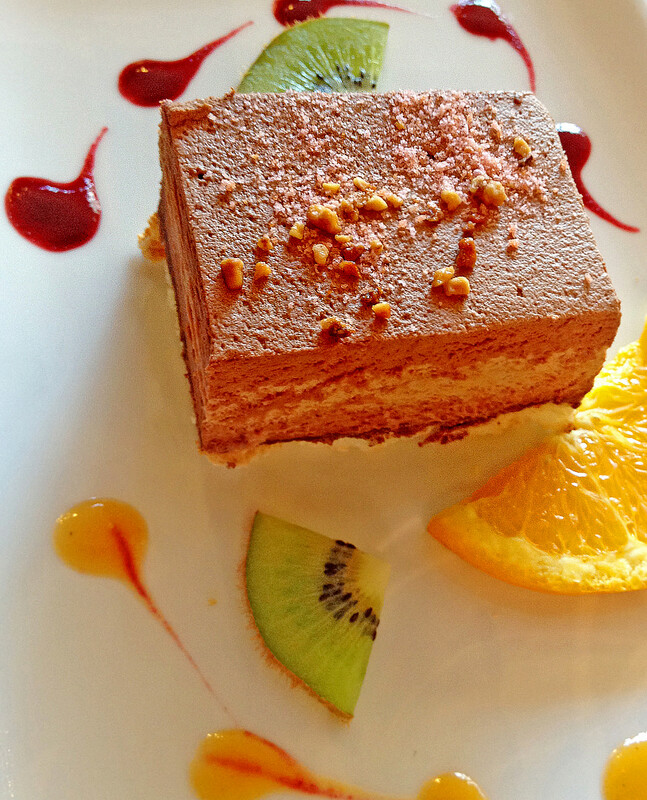 Opéra – has alternate layers of almond sponge cake, coffee buttercream, and chocolate ganache. The whole cake is then covered with thick chocolate glaze. 10. Paris-Brest – named for the famous bicycle race between Paris and Brest, a doughnut-shaped (or sometime oblong) choux pastry cut in half and sandwiched together by generous dollops of praline flavored pastry cream, topped with toasted almonds and confectioner’s sugar. 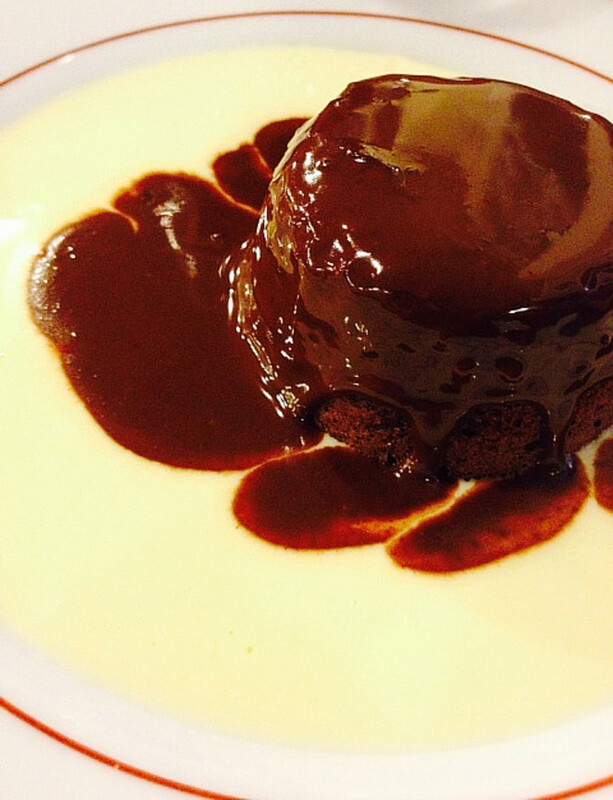 What's your favorite French dessert? 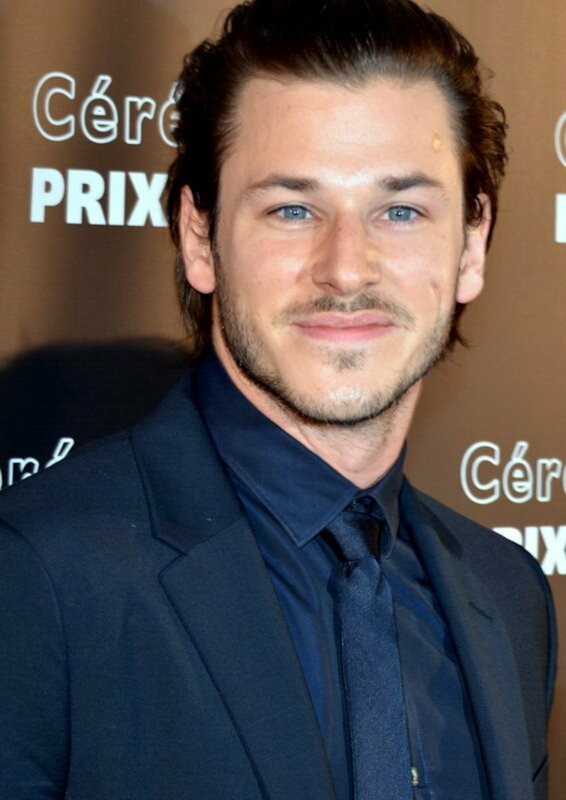 The author devoured a lot of desserts when he was in France this past summer! His favorite is the simple, classic crème brûlée. Thanks ecogranny. I'm so happy you enjoy the hub. 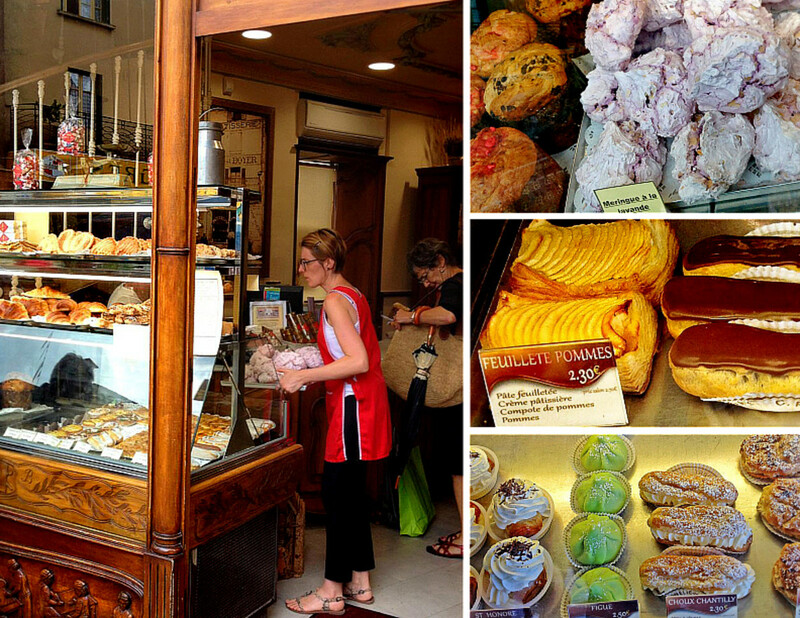 I know, it's hard to pick just one favorite French pastry. Let's just eat them all, life is short! Mahalo Kailua-KonaGirl. How lucky you are to have a pastry chef as a friend! 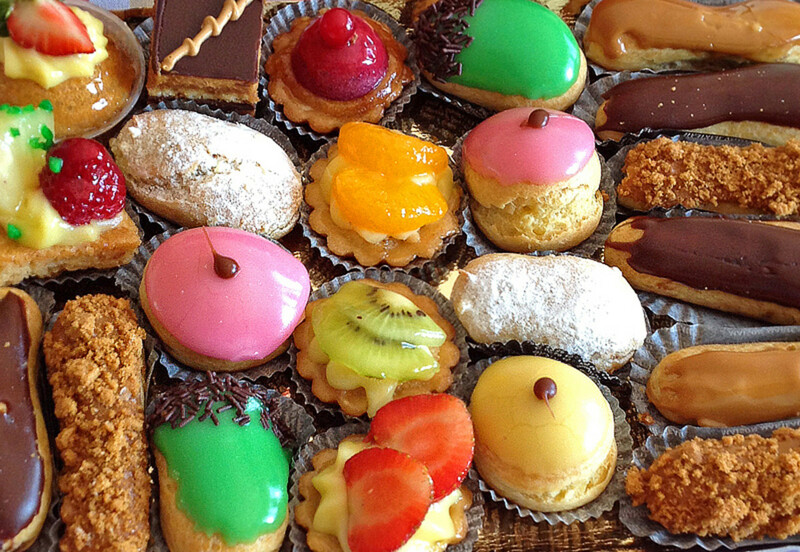 The nearest French patisserie for me would be somewhere in...California (sigh). Impossible to pick a favorite! All of the above! What a lovely hub, full of some of my favorite things. Thank you. LOL. Cream puffs are about the only French pastry I have been successful preparing. 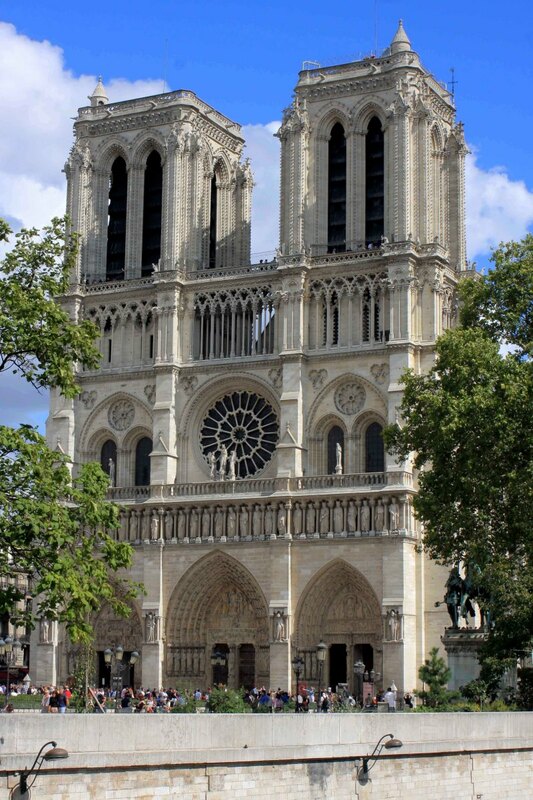 Lovely photos of your time spent it Paris. Really makes me hungry just looking at them. Yum! A friend of mine here in NY is a pastry chef who just brought me some of his macarons. They are as good as they look. Thank you everyone! I'm so glad you enjoy the delicious desserts (without guilt and calories that is! LOL) I agree with you Virginia, French pastries are quite complicated to make, often in stages - very time consuming. I tried to make cream puffs once, it was a disaster! Awesome hub! Delicious to read and look at the pictures! Interesting and informative! You have captured some wonderful images here! I just made some macrons today. Some of these French pastries are very difficult to make, but many are pretty easy, especially if you are worrying more about taste than looks! When I've traveled in China, I've encountered many very beautiful pastry shops with French/Chinese pastries.